The Montreux II Cushion Chaise Lounge, designed by Peter Homestead, brings the comfort of the indoors outside. With a blend of extruded aluminum and cast-aluminum details, the Montreux II Cushion Chaise Lounge features a well-proportioned frame, stylishly curved arm support, and features RELAXplus® technology for optimal comfort. Pair the Monterux II Cushion Chaise Lounge with a Tropitone® Tea Table for an outdoor living space that is a showstopper. 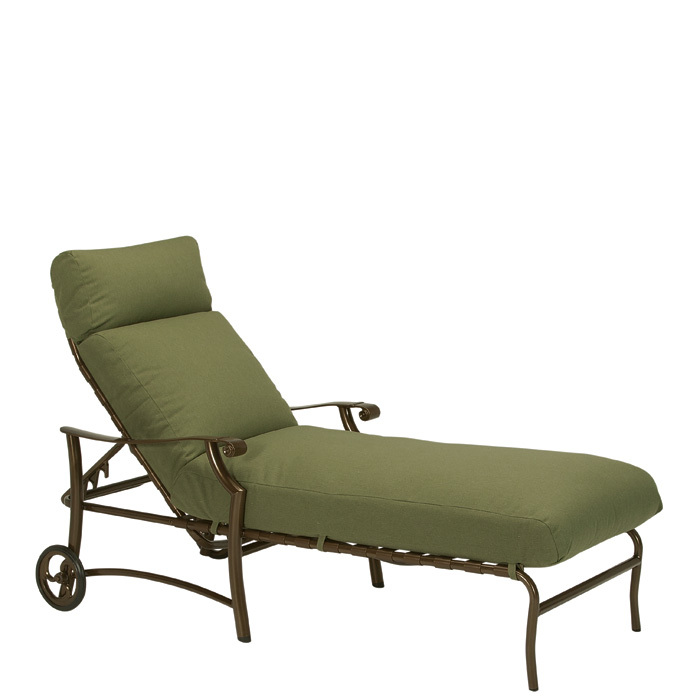 This Monterux II Cushion Chaise Lounge has wheels for easy movement.